The Hit and Run booster pack will allow you to pilot two famous fighter planes: the SPAD VII and the Aviatik D.I. These fast but powerful airplanes were piloted by some of the immortal aces of World War I, such as Francesco Baracca and Georges Guynemer. 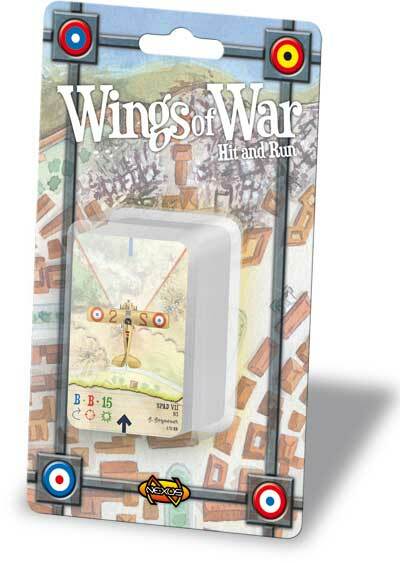 The Hit and Run Booster Pack is composed of 31 airplane cards and 2 decks of Maneuver cards (B and Q).